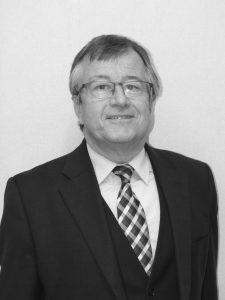 I am a good listener with an analytical mind, the experience garnered over more that 35 years as a practising Solicitor and always the desire to do the best for my clients. As Senior Partner, I head up our team of 3 Solicitors, 2 Trainee Solicitors and 14 support staff members as we enter Gebbie & Wilson’s 203rd year as Strathaven’s Solicitors. I am also the firm’s Cashroom Manager, Anti-Money Laundering Compliance Partner and Risk Management Partner. With regard to legal work, in addition to my supervisory roles, I specialize in property law, executry estates, financial planning for inheritance tax and succession, wills and powers of attorney, often acting as an Executor, Financial Attorney or Trustee. A Strathaven Strider, I make sporadic attempts to keep fit by jogging round the town and its lovely surrounding countryside. A season ticket holder at Motherwell FC, I sometimes enjoy – but more often endure – the performances of my team.